This book is one of all-time favorites. I love the casual titles (e.g. “My favorite hot and sour rhubarb and crispy pork with noodles”) and the friendly directions (“Preheat your oven to full whack…”). This is not an intimidating book, but rather a companion to beginners and advanced chefs alike. The book itself is absolutely gorgeous—full-bleed, beautiful photographs cover at least one page per spread, and illustrations greet the reader at each section change. 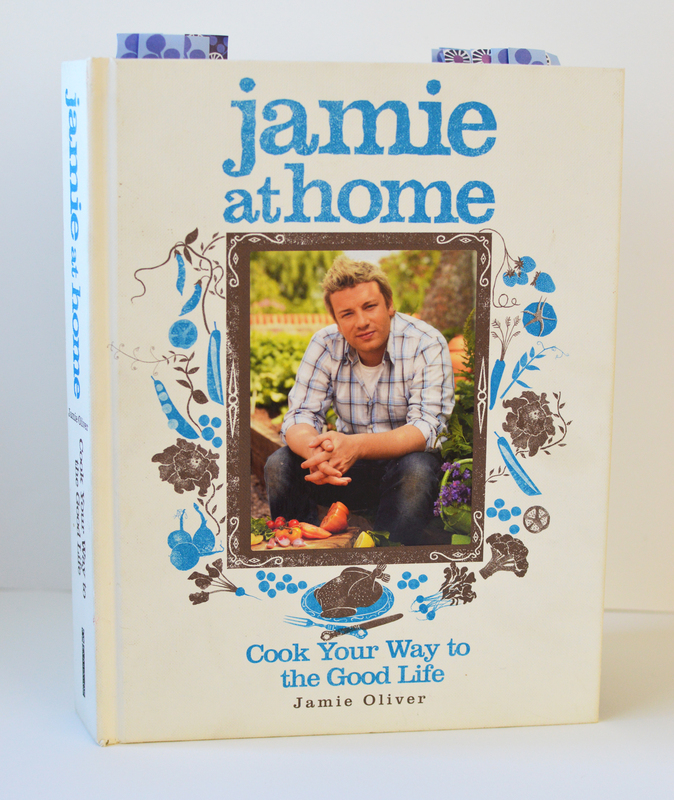 Jamie at Home is divided by season, then by food item within that season. Each food item is broken down by introduction, then several recipes pertaining to that ingredient, and finally a planting/growing guide for those who wish to expand his or her home garden. Many of the recipes from this book have become staples in my own, as well as my mom’s, kitchen over the years. Jamie’s Crispy and sticky chicken thighs with squashed new potatoes and tomatoes (pg 189) was the basis for my own Sticky Chicken. I can also highly recommend the Incredible roasted shoulder of lamb with smashed veg and greens (pg 49), as well as the English onion soup with sage and cheddar (pg 146). Jamie works with classic but bold flavors without making things too complex; it is, after all, for cooking at home. Especially good for: anyone, really.